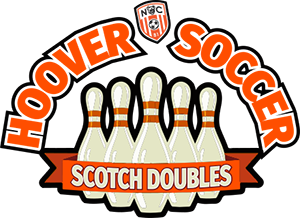 Join the Hoover Soccer Boosters for an exciting fundraising night of Scotch Doubles bowling, raffles and more! Tickets are $40.00 per couple (or 2 person team) and include 3 games of bowling, shoe rental and light refreshments. Bowling to begin promptly at 9:45pm. Doors open at 9:00 pm so you can check out our raffle items, purchase raffle & 50/50 tickets, and participate in our Tumbler Pull (so fun - more details to come on our Facebook page). Looking to purchase a ticket for the event? Please see a current player or download the bowling ticket pdf and send it in. We will be posting all the wonderful items that have been donated for our raffles in the event page on the Hoover High School Soccer Boosters Facebook page so keep checking back. Our community has been so generous with our program we have some really great things for you all to win. In order to participate in tryouts, practices, and competitions, all students must have a current 6 page doctors physical turned into the athletic office. Physicals are good for one year from the date the doctor signs the forms. Please, check all 6 pages of the physical form for student and parent signature requirements. All portions must be signed, and all 6 pages must be returned. Also incluced in the physcial form document are pages regarding concussions and cardiac arrest. These pages need to be read, signed, and returned to your coach or the Hoover HS Athletic Office. For additional forms, our school district will be utilizing a new online forms system. Information will be sent to parents prior to the 2018/19 school year. Please download, print, and sign the Media Release form. This will allow your son's or daughter's image to be used in our social media and website. Return completed form to Jane Upperman. 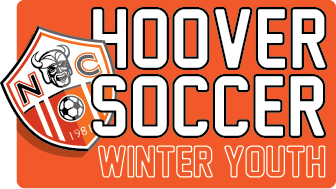 Visit the Hoover Soccer Shurtterfly page. Username and password will be emailed to parents.